Our shearing is complete ... phew! We are seeking five tonnes of New Zealand alpaca fleece shorts (low & medium quality blanket, belly, legs, necks, tails, second cuts) suitable for our alpaca duvets and pillows from the coming 2015/16 summer shearing season. Any colours and micron the lengths should be 30mm to 150mm and 'greasy' with low VM - please pack well! We are paying, at our farm gate, $5/kilogram including GST for any alpaca fibre supplied. We do prefer White/Light Fawn to be seperately sorted with other colours bundled together. Please call to organise delivery or collection! We are not currently sourcing white/LF high-quality blanket but know of purchasers paying $17.50/Kilogram. Long Term Grazing Lease for our Alpacas! We are looking for a long-term grazing lease for the main part of our alpaca herd. We will consider any land in Otago, Central Otago and Southland with an anticipated area of 20-30 hectares. We will need some water supply for livestock and an area to load/unload but all bareland options considered. We recommend you review our website andInstagram to see the relatively low quality land required of alpacas. Alpacas are careful on the land having soft padded feet - and very inquisitive so farming is straight-forward. They only require sheep fencing and some area of wind break but shedding is not necessary. For further details please CONTACT US. Thanks! Alpaca Duvet Film - And some great shots of our alpacas! Thanks to Ellis Fibre, Dunedin, our alpacas feature on a promotional film for our alpaca duvets: Ellis Fibre & Flagstaff Alpacas Youtube. How good is that view and how cute are those alpacas! We do expect to have our newest alpaca yarns, and certainly some real, live, alpacas at the Christmas Craft Market at the Edgar Centre, Portsmouth Drive, Dunedin, on Saturday 21st and Sunday 22nd November 2015. Xmas shopping, meet an alpaca, some bargain dyed alpaca yarns, and checkout the new playing surfaces at the Market. We will be next to the Vape Shop (e-smoking stand). 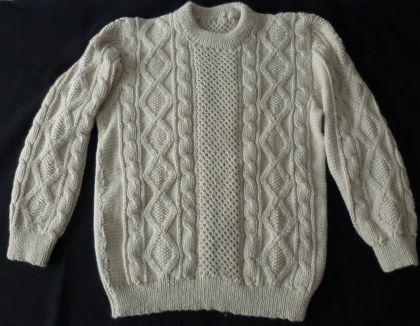 We anticipate new alpaca yarns to be completed by Bruce Woollen Mill; we apprecaite the Mill is in receivership but the receiver continues to agree to production while a new owner is sought. Respecting production restricitions at the Mill the new yarns will be 8-Ply (DK) and 4-ply hanks - 200 grams - in a blend of 70% alpaca and 30% washable merino. More details soon. Don't forget our next Alpaca Open Day is on Sunday 25th October 2015 - free entry - from 10.30am to 3.30pm. Come visit our alpacas and alpaca shop - at 140 Three Mile Hill Road, Dunedin. Take the chance to meet an alpaca ... or many ... and to take an alpaca for a walk! If you are sourcing alpaca livestock then visitors are welcome on the Open Day! Alpacas (right picture) waiting to meet you. Visits and shop opening at other times are welcome - please make an appointment - details on our contact page! We are seeking five tonnes of New Zealand alpaca fleece shorts suitable for our alpaca duvets and pillows from the coming 2015/16 summer shearing season. Any colours and micron the lengths should be 30mm to 150mm and 'greasy' with low VM - please pack well! We are paying, at our farm gate, $5/kilogram including GST for any alpaca fibre supplied. We were sorry to hear the Bruce Woollen Mill, Milton, our main supplier of yarns for our natural alpaca yarns, has been placed in receivership. It will mean we will either have to source a new supplier of yarns or await developments at the Mill before we see new yarns. We have no expectations of fresh alpaca yarns until late 2015 (if the receiver allows) as we prefer to focus on New Zealand yarn makers and they are of limited processing capacity or quality. Very interesting new video by ther Australian Alpaca Association (AAA) just released on YouTube. Titled 'Why Alpaca is the Smart Future' it identifies why alpacas are becoming a sustainable choice amongst farmers in Australia and where the industry is going with alpaca livestock, meat, skins and fibre. Follow this link. There is a new version of the AANZ website now live. Check it our: www.alpaca.org.nz . Reminder to those keen on seeing where the alpaca industry is going try watching the National Show and Expo Stud Auction! Follow this link to see progress on funding the EXPO ... a win/win/win for all participants! We do not have any meadow hay left to sell - alpacas have suffered a fairly cold winter so extra feed has been necessary! We have been adding several new dates for your diary on our Diary page. 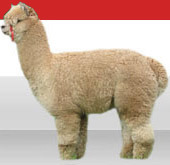 Note the next event is the New Zealand National Alpaca Show and EXPO 2015 at Mystery Creek, Hamilton from 18-20 September 2015. Andy will be there! It has been a fairly tough 4 weeks for the alpacas with some extremes of weather for Dunedin. But all have done well although we hope there is a little relief over the next few weeks. If you want to see how the alpaca are doing we have regular pictures of the alpacas updated on our Instagram Page. Andy is now a member of the AANZ National Council representing the Southern Region. Andy would prefer contact to be made through our own e-mail and website: andy@flagstaffalpacas.nz . Alpacas featured at the Mystery Creek Fieldays in Hamilton this year. Artilce in farming section of 'The Stuff' feature the owners, their alpacas and the desirable qualities of alpaca fibre - low allergy and softness! Remember the coming New Zealand National Alpaca EXPO and Show will be at Mystery Creek in September 2015. Details follow and on our ' Alpaca Diary' page. To alpaca owners in the coastal Otago area we would comment there is a shortage of quality winter feed in small size bales. Our usual sources in Central Otago all do not have feed to sell as applies to ourselves. Picture right is Brazilian visitor 'Chris' feeding sheep nuts to Rosie the alpaca. Thanks to everyone who visited us on National Alpaca Day yesterday. Our next Alpaca Open Day is on Sunday 25th October 2015 - free entry - from 10.30am to 3.30pm. Come visit our alpacas and alpaca shop - at 140 Three Mile Hill Road, Dunedin. We have MOVED - next door to 140 Three Mile Hill Road! We have moved - next door to our old property! Now our new address is 140 Three Mile Hill Road, Dunedin. We plan to build on the site at 140 so visits are strictly by appointment. As part of National Alpaca Day Flagstaff Alpacas will be holding an Open Day on Sunday 3rd May 2015. 10.30am to 3.30pm the Open Day is free entry. All welcome! Come meet an alpaca ... or many ... and see our locally-made alpaca products. Demonstrations, short talks, meet an alpaca close-up and alpaca products sales ... and seevral of this seasons new alpaca cria. The Open Day is at our new address 140 Three Mile Hill Road, Halfway Bush, Dunedin - plenty of parking! End of Summer - Preparing for Winter! Flagstaff Alpacas was pleased to have seen so many people at the Upper Clutha A&P Show, Wanaka, and the Southland Show, Invercargill in early March. As discussed with visitors getting ready for winter is the focus of the next 6 weeks as we have had some gorgeous weather but feed will be a little scarce after a partial drought in East Otago. So prevention is the best cure and we will be drenching alpacas early this season. We encourage alpaca farmers to have good stores of feed for winter. New article on why we are focusing on sourcing authentic, certifiable alpaca fleece in the Southern Rural Life (Allied Press) this week - edition of 11th February 2015 - article by Yvonne O'Hara, page 7. Includes details of why we are selling our main alpaca herd. Further details listing alpaca fleece statistics and detailing the alpacas for sale is available by selecting the following link (PDF file): Flagstaff Alpaca Fleece Stats Dec14. Details of over 150 alpacas as part of our commercial alpaca herd sale - and does not include 30 cria recently born! For further details of the herd sale please either see the entry below for 18 December 2014, select this link or make Contact. Pictures of our New Alpaca Cria? Please see our Instagram page, follow our Twitter thread: @alpacaNZ or our Pictures pages for latest updates on the young cria born around the farm! Flagstaff Alpacas will be holding is Summer Open Day on Sunday 15th February 2015. 10.30am to 3.30pm - the Open Day is free entry. Come meet an alpaca ... or many ... and see our locally-made alpaca products. Demonstrations, short talks, meet an alpaca close-up and alpaca products sales ... and, plenty of recent alpaca baby cria arrivals to meet with their families! Details for visiting farms see our Contact page. Flagstaff Alpacas is involved in a bundle of events in February 2015 before and during the Cricket World Cup 2105 here in New Zealand and Australia. We are at the Gore A&P Show 7 February, Thieves Alley Craft Market, Dunedin, 14th Feb, our Open Day 15th Feb, and various Cruise Ship Craft Markets in the Octagon, Dunedin, through the month! Flagstaff Alpacas has decided to sell its main alpaca herd so that we can focus on authentic and certifiable alpaca product made in New Zealand from 100% New Zealand alpaca. More details of the Herd Sale are available in the following link: Flagstaff Alpacas Herd Sale. Visits and inspections are welcome - we continue to offer information and smaller herd and alpaca livestock sales - please make contact to organise a visit! We will continue to promote our products and continue with our programme of Open Days to meet our alpacas and see our alpaca products. McAuslin Merino Lace ... and Alpaca! Details on the plan and backers for the recovery at Bruce Woollen Mill, Milton, are detailed in The NZ Farmers Weekly of 15 December 2015 - online copy at: fwplus.co.nz. Article is titled: 'Bruce Mill ready for big things'. If you wish to contact the Mill directly on processing your fleece please contact the General Manager, Mark Buckley, at the Mill: Mobile: 021-0250 7754 or e-mail: mark.buckley@brucewoollenmill.co.nz. Flagstaff Alpacas will be holding is Summer Open Day on Sunday 15th February 2015. 10.30am to 3.30pm the Open Day is free entry. Come meet an alpaca ... or many ... and see our locally-made alpaca products. Demonstrations, short talks, meet an alpaca close-up and alpaca products sales ... and, plentynof young alpaca cria to meet with their families! Despite the best efforst of the weather the bulk of our shearing has been completed - 170 alpaca plus with the white fleece already inbound to CWS Timaru for scouring. Not unexpected after the mild winter we found the fleece relatively clean and bright, rich in colour and good volumes. Details of the local shearer are further down this Alpaca News page. We advise alpacas are shorn before the end of January and we know Nigel is trying to take advantage of good weather spells ... when they appear! Progress of the recovery at the Bruce Woollen Mill, Milton continues. With the new general manager, Mark Buckley (021-025 07754, e-mail: mark.buckley@brucewoollenmill.co.nz) well established, and the new backers slowly making their mark on progress at the Mill, new clients seeking processing should contact Mark direct. Our latest yarns (DK 8-Ply and laceweight 2-ply) are of a very high processing standard - and very lustrous yarns! For recent news on the export of alpacas to China the latest Southern Rural Life has coverage: 'Alpaca Exports Excite', with discussion on export volumes of 500 alpacas and what the Chinese clients are looking for in sourcing alpacas here in New Zealand. For details of our export quality alpaca stock see our Alpaca Sales pages. Picture right shows pregnant females at our Otago Peninsula farm.. Article is provided on-line by the Otago Daily Times (ODT) - select following link: Alpaca Exports Excite. Our new DK 8-Ply and lace weight 2-ply (110bar2) are now available in natural white and 100% alpaca. See our natural yarns page. We are dyeing some of the 8-ply in 200 gram hanks in new colour schemes - detailed on our colourways (multi dyed yarns) page. First Cria ... Arriving ... A Little Early! Our first arrivals in young alpacs has seen four cria born in a few days. Picture right is of Elitist and her little girl. Cria seem to be arriving a little early this spring ... maybe the easier winter we have had in Dunedin? More pictures of the arriving cria ... updated regularly on our Instagram Page: FlagstaffAlpacas. Contact detail for the roving alpaca shearer of Southland, Otago, Greater Auckland and Canterbury: Nigel Wood, ph: 03-231 3112, mobile: 027 468 1903, e-mail: nigelwood11@xtra.co.nz. Please contact Nigel soonest as he shortly starts shearing ... so please book well ahead! Our Alpaca Yarn - Arriving SOON - Promise! For those waiting for our latest alpaca yarns - produced here in Otago at the Bruce Woollen Mill, Milton - good news as they will be here before the end of the month! One piece of bad news - it will not include our alpaca/silk blend. The new order arriving includes 100% alpaca in 8-ply and 2-ply as well as our favourite - 4-ply sock-ply blend - minimum 50% alpaca! All in natural white! Details: See our Natural Undyed Yarns page. If you are looking for an on-line copy of the AANZ Alpaca Magazine please see the issuu.com site and search for NZ Alpaca! Pleased to see the first large shipment of alpacas going to China - in this case from Australia - arrived by 747. More details see the following link: Alpacas in China. 525 moved - and we expect New Zealand to be next! Andy will be at the National Alpaca Expo 2014 in Christchurch on the saturday of the weekend 10-12 October 2014. For those following and attending the National Creative Fibre Festival 2015 - Fashion, Fibre and Fun - in Rotorua (9-12 April 2015) please note there is an 'Alpaca Challenge 2015'. The challenge is to make an alpaca neck warmer (not a scarf). We do supply a pattern created by 'Kiwiyarns' for those lacking inspiration ... and of course alpaca fibre - carded natural or raw fleece! More details on the Creative Fibre website! Many will appreciate our local yarn producer Bruce Woollen Mill, Milton, has been in the news. Recently there has been some very good news about the Mill and its staff; we look forward to passing-on that news here on our website, and seeing our first new yarns, very shortly. Thanks to all that have supported the Mill and to all those who continue to wait for our alpaca yarns! Best coverage of the last weeks progress for the Mill is on the Farmers Weekly website: select this link. Flagstaff Alpacas will be holding is Spring Open Day on Sunday 19th October 2014. 10.30am to 3.30pm the Open Day is free entry. Come meet an alpaca ... or many ... and see our locally-made alpaca products. Demonstrations, short talks, meet an alpaca close-up and alpaca products sales ... and, hopefully, our first new alpaca cria of the season??! A picture tells a thousand words - so we hope you watch our Instagram album: Instagram FLAGSTAFF ALPACAS. Most of the pictures are at our spectacular Otago Estuary paddocks showing our alpacas enjoying a relatively mild winter - plenty of winter sun! Or follow us on our Twitter feed - again those pictures are published on our Twitter feed: @alpacaNZ . We will be at the mid-winter Southern Crafters craft show, Southland Stadium, Invercargill, 19th and 20th July 2014 with our alpaca yarns and other alpaca products. Always a fun event we will be in the Velodrome for the last time so join us and 170 other stalls - remember FREE entry! We are one of nearly 40 alpaca breeders around New Zealand financially supporting the development of a China-New Zealand protocol to export live alpacas to China to support their development of a national herd and their own fleece industry. More news in the spring! We appreciate a number of alpaca yarn enthusiasts continue to wait patiently for our latest run of alpaca yarns. Next batch will be our sock blend and silk blend in 4-ply, 2-ply laceweight, and 100% alpaca in DK 8-Ply. But I'm afraid we all will have to wait for the Mill to process our yarns. Small hiccup on one of the blend elements has meant we have had to wait for fresh raw material (not the alpaca we might add!). Hopefully here by early July! SORRY! Quick comment on this already wet winter. Although we have not seen as tough conditions as much of New Zealand we have noticed the alpacas are looking as if it is already August - hope you know what we mean but one clue is their fleece have lost some lustre. And the paddocks are the same - easily damaged around 'transit areas' for the alpacas and sheds a little damp. So please keep a careful watch for any parasite burdens and keep cria 'topped-up' with vitamin D. To see how our own alpacas are faring check our INSTAGRAM page: FLAGSTAFFALPACAS. Flagstaff Alpacas will be holding is Spring Open Day on Sunday 19th October 2014. 10.30am to 3.30pm the Open Day is free entry. Come meet an alpaca ... or many ... and see our locally-made alpaca products. Demonstrations, short talks, meet an alpaca close-up and alpaca products sales. Visits are welcome anytime by appointment - see our CONTACT details. First Snow of Winter ... Only Snow of Winter? Alpacas enjoying some dry hay on our first snow day of winter 2014 in Dunedin. They really don't want to go in the shed (left of picture) and love the snow! For more pictures in the snow see our INSTAGRAM page! We are awaiting our latest batch of alpaca yarns from Bruce Woollen Mill, Milton. This batch will include DK 8-ply in 100% alpaca, sock and silk bends in 4-ply and some 2-ply laceweight. Yarn is expected in June 2014 - watch our Alpaca Product pages for details! With autumn seeming an early start to winter we would highlight the importance of preventitive traetment for your alpacas. Having been so wet we have 'wormed' much of our alpaca herd, as well as 5-in-1 shots and vitamin D for this seasons cria. We can supply and administer shots locally if owners consider it necessary for their alpacas. Make sure you have plenty of dry feed if you are at the stock limits of your paddocks as it does feel that this will be a long winter! Don't forget the 'Legacy of Yarns' Creative Fibre Event 2014 in Dunedin from 24-27 April 2014. The annual event is at John McGlashan College, Dunedin in 2014 and we will have our alpaca yarns at this festival of creative people and ideas. 300 delegates registered by 20 March 2014 ... will be plenty to see and interact with! As part of National Alpaca Day on Sunday 4th May 2014 we will be holding an Open Day at Flagstaff Alpacas, 136 Three Mile Hill Road, Dunedin. Only six minutes from the Octagon all visitors are welcome. 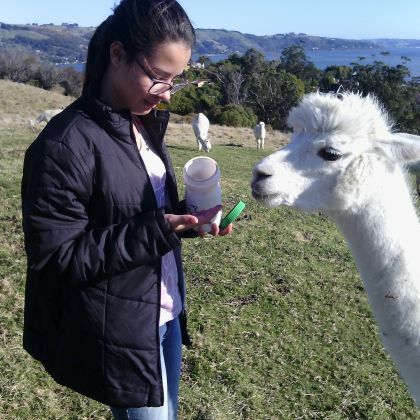 Meet and get up close to our alpacas, see our alpaca products made here in Dunedin and Otago, and short talks on all aspects of farming alpacas here in New Zealand. Free entry: 10.30am to 3.30pm. During the Southern Field Days the Alpaca Association of New Zealand announced its plan to back the protocol for exporting alpacas to China. We are pleased to be part of the development of the protocol and expect details of progress by the AANZ during the year. We have already hosted a number of visits from Chinese parties planning the acquisition of alpaca stock, the scale of which is considered significantly larger than the current national herd of New Zealand. We were pleased to see so many visitors to the Southern Field Days in Gore ... despite the weather trying its hardest to test the patience of organisers, sites, visitors and our rather bedragled alpacas, especially on the Thursday of the Field Days! No stopping lots of people braving the mud!!! For the very latest pictures from around our alpaca farm see our Instagram album: Instagram FLAGSTAFF ALPACAS. Nov 2007 : Mean 25.1 micron, Standard Deviation 6.2, Coefficient of Variation 24.5, Comfort Factor 82%. Dec 2008: Mean 25.8, SD 5.2, CV 20.1, CF 82%. Dec 2010: Mean 24.5, SD 4.5, CV 18.3, CF 90%. Dec 2011: Mean 25.2, SD 5.2, CV 20.6, CF 85%. Dec 2012: Mean 24.3, SD 5.6, CV 23.1, CF 85%. Our Picture Gallery page is now best viewed through our Instagram page: Instagram FLAGSTAFF ALPACAS. Latest pictures of our alpacas, new cria, other activity at the farm and farm stay accommodation, and with our alpaca products. May be the middle of summer but Judith Burton in Mosgiel has finished the perfect Christmas present ... if we were to see snow in Dunedin on Xmas day! The yarn is our aran weight (10-ply) - picture right. Super warm alpaca ... Gorgeous! Our shearing of our main herd is now complete - phew and there are a few very relieved alpaca now enjoying more Dunedin sun! Thanks James, Riley, Pano and brother Rob Nailard for all your efforts - and over 200 alpaca shorn! Pictures of the shearing and gorgeous fleece are available on our Instagram account 'flagstaffalpacas'. Our first Open Day for 2014 is on Sunday 9th February 2014, the day after the Thieves Alley Market here in Dunedin and just as the Masters Games wraps-up. Our Open Day will include a alpaca yarn dyeing demonstration, chances to meet our alpacas, try leading an alpaca, see the alpaca products we make, short talks and 'herding' with the alpacas. 10am to 4pm - FREE ENTRY! Wei Siew Leong - Kiwi Yarns - Busy Again! 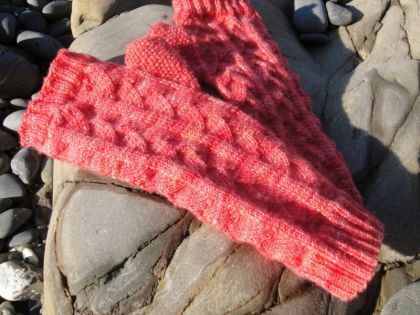 Try this pattern out in 4-ply sock yarn and be ready for winter ... or if you can't wait just wear them now! We won't tell ... honest! Thanks WS! Shearing Contacts and Alpaca Fleece! Important time for alpaca breeders to be preparing for shearing .... and getting the best from their alpaca fleece! We plead with you to shear before the paddock grasses seed so best before mid-Summer day! And remember those older girls and boys may not need a trim .... will make life a little easier for them this winter. Just make sure they have plenty of water and some shade for the hotter days this summer! Girls in picture right will keep their coats this year - Mount Cargill and Otago Peninsula in the background. Contact detail for the roving alpaca shearer of Southland, Otago and Canterbury: Nigel Wood, ph: 03-231 3112, mobile: 027 468 1903, e-mail: nigelwood11@xtra.co.nz. Please organise soonest as Nigel has a schedule running through his shearing areas and is keen to fit you in! We often attend the Sunday Stadium Market, Forsyth Barr Stadium, Dunedin - the market is undercover, every Sunday of the year and we try to attend as many as possible. Picture right is our stand with our alpaca yarns and duvets with the backdrop of the Speight's Stand and the pitch behind the Alpacamobile! More details of the next time we are at the Stadium on our DIARY page. Love Knitting? Move to Norway! We urgently need alpaca fleece shorts - please sort in 2 separate colour fadges: white/light fawn and all other colours. Any alpaca suits as long as it is 20mm to 150mm, any micron, any colour! Over 100kgs and we will sort out collection and payment. We have a variety of alpaca stock available for sale from our herd of over 200 alpacas - please see our 'Alpaca Sales' pages for more details. Examples are boys in picture right! Our first Alpaca Open Day of the season makes up part of a busy weekend for Dunedin. Our Open Day includes chances to feed and lead alpacas, a 'running' demonstration on alpaca yarn dyeing and a chance to see and buy our alpaca yarns, duevts and products. Free entry - 10.30am to 3.30pm. Then there is the Bledisloe Cup Rugby Game at Forsyth Barr Stadium on Saturday evening. Sunday includes the ITM Rugby Semi-Final at the Stadium (2.35pm start - Otago v Hawke's Bay) and we will be at the Stadium Market - same venue - from 10am to 2.35pm ... finishing as the ITM game starts! Same venue - market is free and rugby is pretty cheap! The Market includes a number of food stalls so plenty of chances to see our alpaca products and to try local Otago food ideas! 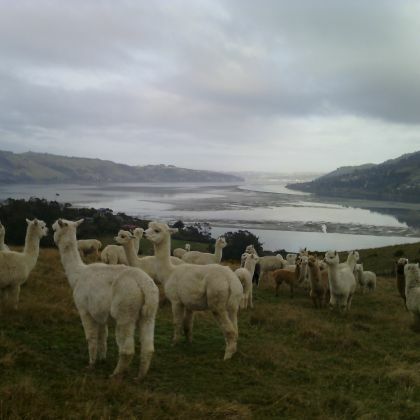 Picture right shows our new 'paka pastures' on the Otago Peninsula. The paddocks will house the majority of our females in 6 paddocks - 20 hectares plus they will have superb views up and down the Otago Peninsula. Picture looks down towards Dunedin. Visits welcome - by appointment! Alpaca Open Day - Saturday 19th October 2013! Our first Alpaca Open Day of the season is on Saturday 19th October 2013 from 10.30am to 3.30pm. Free entry - all are welcome - to meet and lead our alpacas, listen to short alpaca talks, see and purchase our alpaca products and watch a dyeing demonstration of the alpaca yarns. The Open Day is at 136 Three Mile Hill Road, Dunedin. Looking for Genuine Alpaca Products? See us! No such thing as a New Zealand 'Snow Alpaca'. 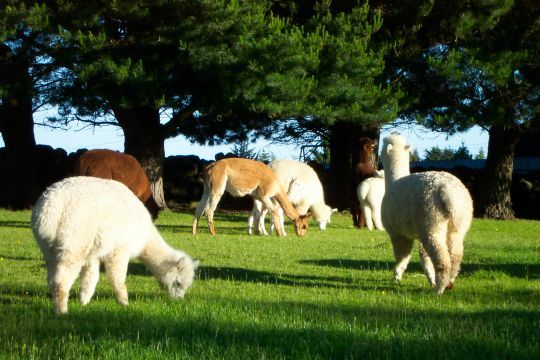 AVOID these NZ alpaca scams ... the latest being 'snow alpacas' ... from the following Rotorua-based companies: Hyeon Company Limited, Duvet 2000 Limited, JM Wool Limited, Premium Alpaca New Zealand, Top Sky and Kiwi Wool. Details see the NZ Herald article - select this link, or more detailed coverage on The Stuff website - see this link. If you are looking for genuine New Zealand alpaca products made here in Otago then please see us and our alpaca products.